Waves at Kaikoura Holiday Homes in Kaikoura provide apartments just a stone's throw from the water's edge. We are the closest luxury accommodation to the town centre, offering the ideal combination of lifestyle, location and a great holiday destination with the ultimate combination of expansive ocean and mountain views. 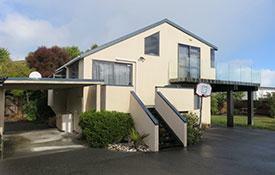 Waves at Kaikoura Holiday Homes apartments suit a wide range of guests from couples to families. Waves at Kaikoura Holiday Homes in Kaikoura provide apartments just a stone's throw from the water's edge. We are the closest luxury accommodation to the town centre, offering the ideal combination of lifestyle, location and a great holiday destination with the ultimate combination of expansive ocean and mountain views. 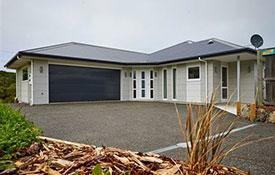 Waves at Kaikoura Holiday Homes apartments suit a wide range of guests from couples to families. Best views of the ocean from the house and garden Art Deco House Minutes walk from main town centre LOCATION LOCATION! And views - some of the best in Kaikoura! 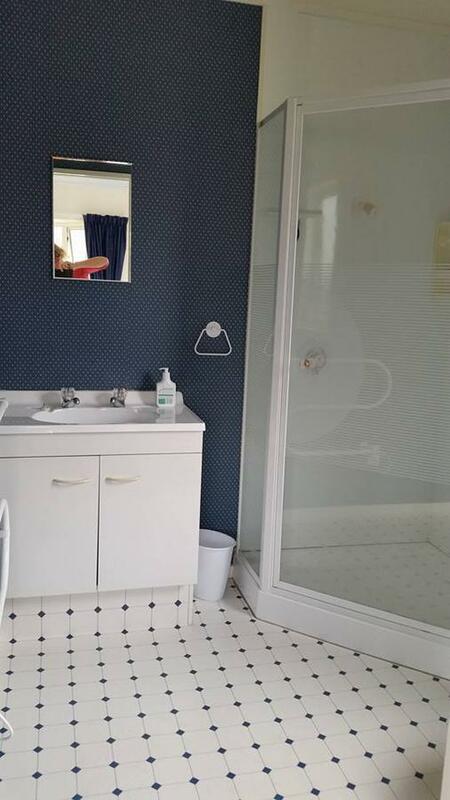 A lovely family home situated in the heart of South Bay. Plenty of space for all family and friends. A short walk to the beach with great swimming and snorkling opportunities. 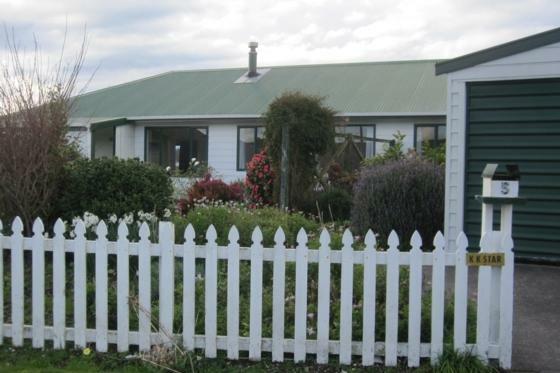 Please arrive after 2pm and depart by 10am, unless otherwise arranged with KKHH Please contact Kaikoura Holiday Houses to book this house. Payment by internet banking or credit card. Please be aware all credit card transactions incur a bank fee of 3.1% Your deposit and/or bond can be secured with your cc details. Linen is included including towels. Cleaning service included. A lovely family home situated in the heart of South Bay. Plenty of space for all family and friends. A short walk to the beach with great swimming and snorkling opportunities. Peninsula View is located in a very quiet area on the Peninsula with rural and ocean views. There is off street parking, space for the boat and a secure garden for children. There's an outdoor bench to clean the days catch. Quality bedding with electric blankets. Panel heaters in four bedrooms. Fully equipped kitchen. Expandable dining table. Extra chairs. Ideally located for great walking tracks and not far from the beach. 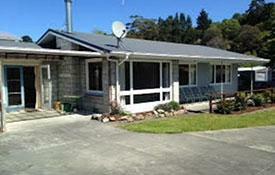 Just a few minutes drive to Kaikoura town centre or take the walking track down the hill. The nightly tariff does not include cleaning or linen - these are extra costs. KKHH will contact guests arriving a week before arrival for their cc details which are required as bond. Once this is in place the key code and check in details will be sent. Sea-renity Beach House is in a stunning location right across the road from the beach. 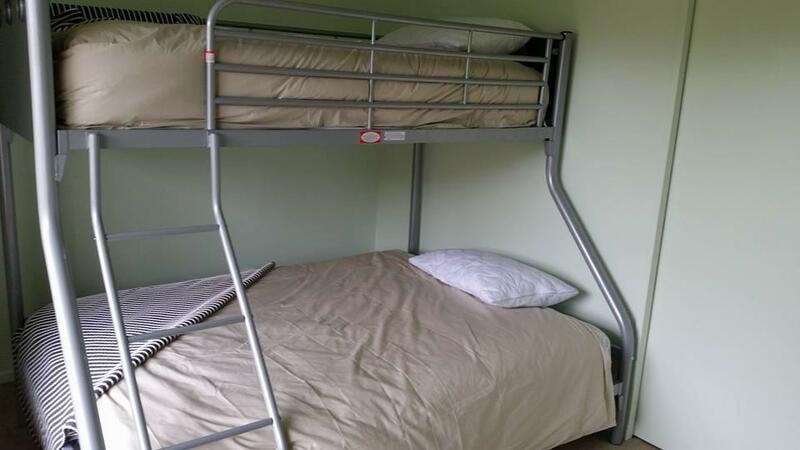 Walking distance to bars, cafes, restaurants pubs and the movie theatre. Catering for all the family, the children's playground and swimming pool are only 3 minutes away. Take a short drive to view the seals at the end of the esplanade. The action, adrenalin, tranquility, and all natures best are at the doorstep for you to enjoy. .
Option available for own cleaning. Please indicate if you prefer this option at initial booking request. found on the property there will be a charge of $200. Protea House is a lovely 3 bedroom house with master bedroom and ensuite. 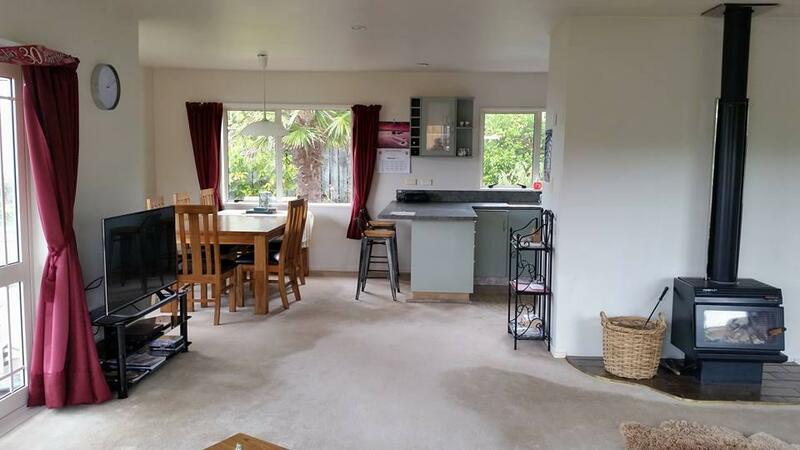 Spacious and tastefully outfitted this is an ideal location to spend your time in Kaikoura. The views are to die for - some of the best in Kaikoura. The gardens are full of flowers, with space for children to play and explore. 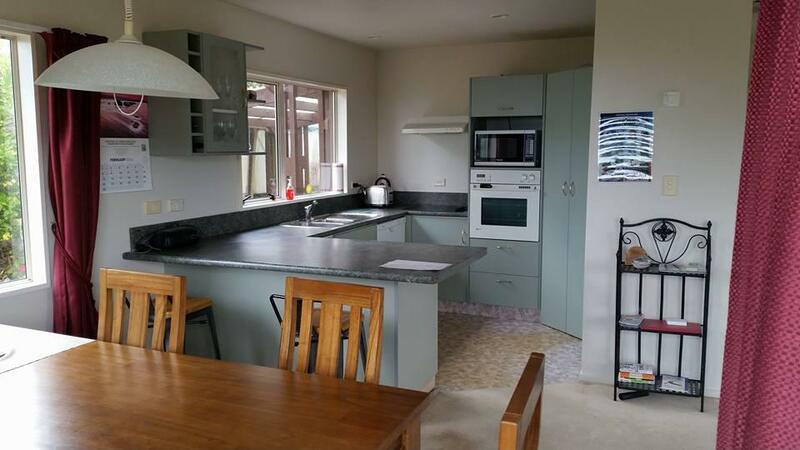 Middle Creek House is rural property five minutes from Kaikoura township in lovely NZ native gardens, with a small lake and surrounded by rural farmland. Abundant birdlife and NZ flora. 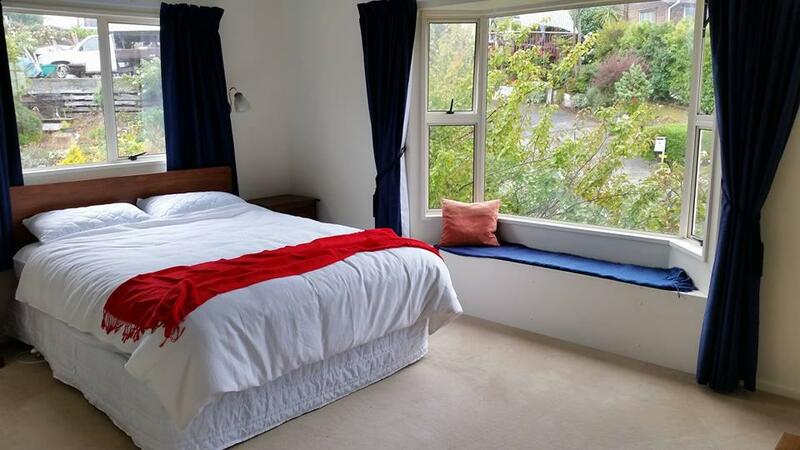 Middlecreek House was designed by an architect, the house has been refurbished since the earthquake, with generous living spaces and three double bedrooms, each with it's own en suite bathroom. All the bedrooms and living areas feature French doors which open onto a paved courtyard, which is ideal for outdoor living. There are spectacular views of Mt. Fyffe across the paddocks, and the pond near the house has resident pukekos, paradise ducks and frogs. Middle Creek flows down the boundary of the property, and there is abundant bird life and peaceful rural views. This is a very comfortable, spacious and well appointed house in a lovely setting, and we are sure you will feel at home. KKHH provide key box code and check in details one week before arrival.